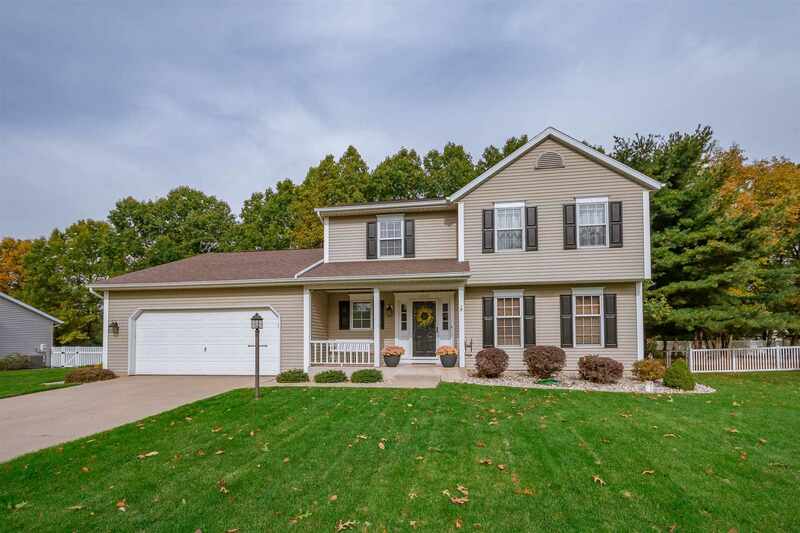 Move-in condition 4 bedroom, 2.5 bath home in quick-selling Prairie Lane Estates, the only subdivision in Granger with its own park, which has been recently upgraded! Hardwood flooring throughout most of the main level, neutral tile in the kitchen, quartz kitchen island, all new appliances, and the newer washer and dryer are included also. The home has been painted in all tasteful colors, and the lighting and fixtures are updated throughout. The beautiful stone fireplace adds warmth to the family room. The basement has a large finished room with a wet bar. The patio overlooks a private tree-lined back yard which is fenced. Low-maintenance landscaping has been recently installed. With the many updates, this is a good value in Horizon, Discovery, Penn Schools!